Join the DLRA or renew you membership. 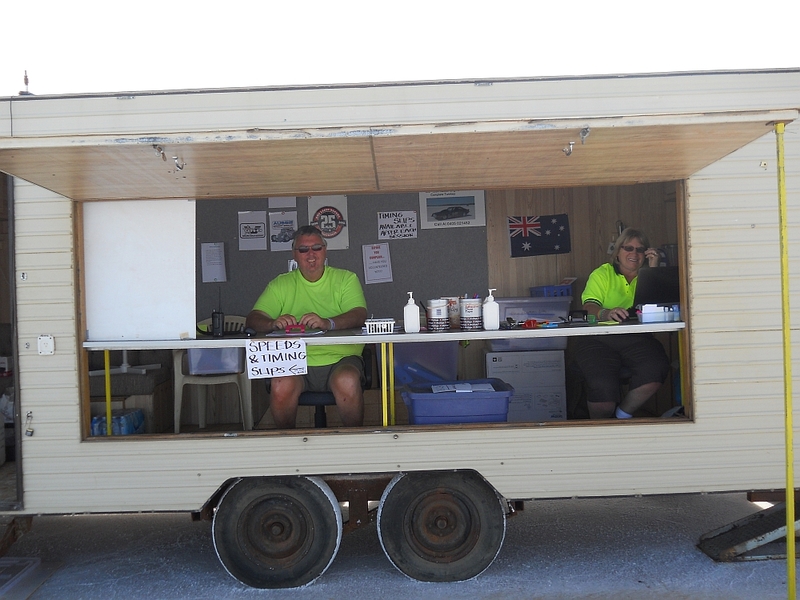 Entrant registrations for Speed Week are processed at the Registration Caravan in the middle of the Pits on the salt. All entrants will be given a short Entrant orientation course. NOTE: There is no Credit Card or EFTPOS facilities due to the remote location, all payments are strictly cash. New Entrants (Rookies) will also receive a Rookies Handbook and be given a short Rookies orientation course. New Entrants (Rookies) will be given a DLRA license, which needs to be endorsed for each license (speed) they achieve. New vehicles will be given a DLRA logbook, to be used at technical inspection and produced each following year. 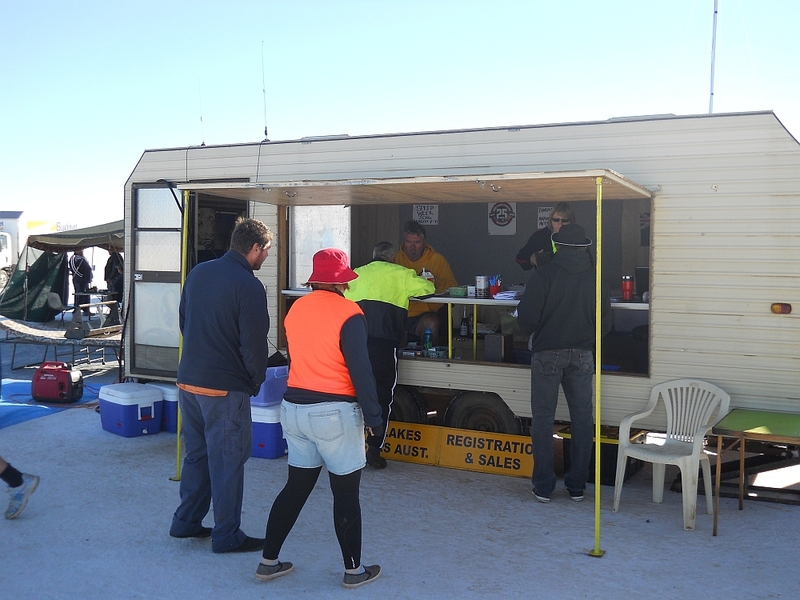 Once you have set up your spot in the pits, come to the registration caravan to pick up your entry pack. Entrant packs include a copy of your entry(s), a technical inspection sheet, a souvenir program, entrant and pit crew wristbands. Then proceed to Technical inspection to get your vehicle, support vehicle and safety gear inspected. You will need to return your completed technical inspection sheet to the registration van to finalize your entry. 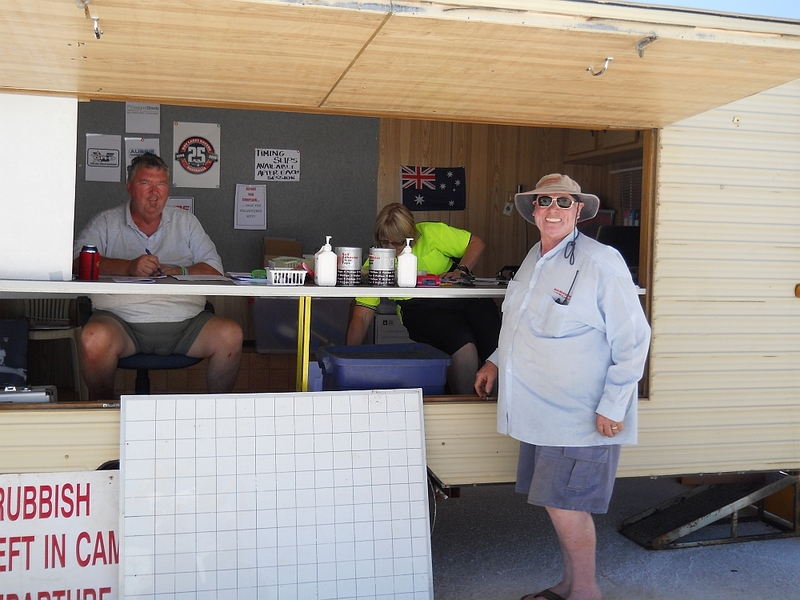 During Speed Week entrants can pick up a printed time slips for their runs at the Registration Caravan. To find out speeds during sessions listen to Ch10 on your UHF radio or 92.9 on your FM radio. Members of the Media (photographers, videographers, journalists, TV stations) also need to make the Registration Van their first stop once they are on the salt. They need to notify us that they are there, sign in and undertake a short Media orientation course. Please note: Lake Entry fee and DLRA Camp fees are payable at the Vehicle Check at the edge of the lake.